Excellence in dental care is our top priority at Dental Care Center at Kennestone. Our general dentistry services are designed to help protect your teeth and gums to improve your oral health. We offer dental care for your entire family, including preventive and proactive treatments for optimum oral health. Our services cover almost any dental issue you may need. Learn more about the various general dentistry services we offer on the following pages on our website. Our team at Dental Care Center at Kennestone wants to be here for you whenever you need dental care. Cleanings and checkups are just the beginning. When you have a broken tooth that needs repair or your child needs emergency dental care, our team will ensure you receive the treatments you need. We provide services in a comfortable, caring atmosphere. 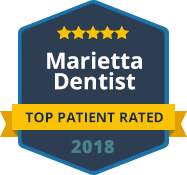 Our practice offers comprehensive care for your gums, teeth, jaw and other oral health needs, all in one convenient location. When you become part of our dental family, you will be in good hands when it comes to caring for your smile. We provide a relaxing place for you and your family to get the dental care you need. 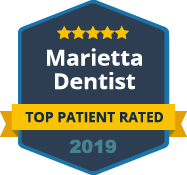 Our team uses the latest dental technology and methods to ensure top-quality dental care that is efficient and expedient. Plus, we work with you to ensure your dental care is affordable. Our office accepts many insurance plans and have payment plans available. If you have any questions about the general dentistry services we provide, feel free to ask any of our team members. We also offer cosmetic, implant and sedation dentistry, as well as orthodontics. Contact us today to schedule your next visit or book your appointment online.